Good afternoon! After that debacle of a game this past Sunday, our Red Bulls are back in MLS action. It's another away fixture, this time @Vancouver (11:00pm ET, MSG+, Match Notes here). Let's see how both teams come into this one. The Red Bulls come into this one looking to rebound from that horrible loss @Chicago and absolutely needing points, to keep pace with a resurgent DC and KC. That said, there will be several key absences from the lineup. The proven fact that grass doesn't grow in the Pacific Northwest all but insured the absence of Thierry Henry, who will not risk another hammy injury due to the plastic pitch @BC Place. Rafa Marquez (injury), Wilman Conde (injury), Mehdi Ballouchy (lack of a Green Card), not to mention Head Coach Hans Backe (personal matters) will all be notable absentees from this one. Pickins' are slim, but let's hope for the best. Vancouver is sporting a 4 game unbeaten run, and have won their last two home games. This will be their third home game in a row and they'll be ready to take a bite out of the Big Apple. They'll be wary of Kenny Cooper, but will hope to keep the big guy off the score sheet today. With all that in mind, let's get to some predictions! Backe isn't traveling for this one, and neither is Ballouchy due to his ongoing visa saga. Vancouver has been playing great recently, so realistically I can't see anything but a loss here. 2-0 to the Whitecaps. If we got out of Vancouver with a draw, I'd be extremely "Chuffed" and "Over The Moon". That said, like my colleague Matt Conroy, I'm calling this one a loss as well. With several key players, like Henry, Marquez and Ballouchy, out (Yes, at this point I'm referring to Ballouchy as a "key player"), and the Whitecaps on a bit of a roll, I'm predicting a 2-1 loss, with King Kenny bagging our lone goal. Obviously feeling down about the Bulls' prospects after the Chicago loss. If you look at last 5 results for both teams, they are headed in opposite directions, with Vancouver ascending. I'll be happy if we can pull out a 1-1 draw, and if Victor Palsson doesn't make an appearance. This one's gonna be tough. But the Bulls often surprise us on these games we don't expect to win, and some pride needs to kick in after Sunday's embarrassment in Chicago, so my absurd optimism is somewhat restrained but I still think we can squeak out a point on the road. Vancouver 1-1 NY, Cooper w a late tap-in to equalize. We are gonna get freakin killed. As per the debacle in Chicago I can see that staying fit and sharp was not a priority during the summer vacation. 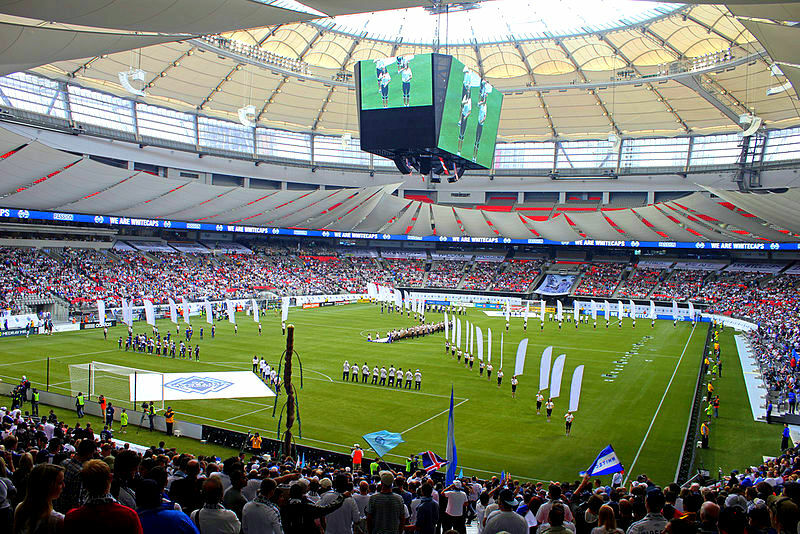 Vancouver Whitecaps 4 - 0 NYRB. That's all for now! Let's hope for the best and we'll see you @The Cathedral of Football, Red Bull Arena (built by Makita) for the sold-out fixture, against the DC Scum, this coming Sunday.